Small Navy Pouch - loads of companies make pouches, and I've wanted one for ages, but since I've spotted this one it's shot straight to the top of my wishlist! They make these in all different colours and sizes, and they are all so well priced (£14-19) that I think I might need to make a sneaky purchase. Bee Necklace - another thing I've wanted for the longest time is a gold bee necklace, but all of the ones I have seen have always been so expensive. This one is just £19, and I absolutely love all of the detail it has - this would be so perfect for summer! Stars So Bright Bracelet - it was actually this bracelet that I spotted on Instagram which led me to this brand, and I love it so much. I have a bit of a thing for stars at the moment, and I think this would look gorgeous next to my watch. 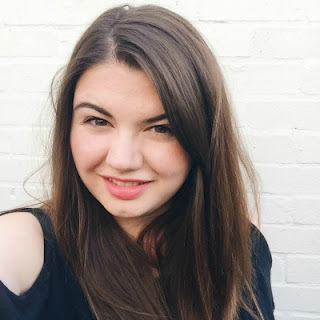 Feather Earrings - although I have my ears pierced I actually don't remember the last time I wore earrings, but I really want to get back into the habit of wearing them. These are gold plated, so I don't think they will make my ears react after being empty for so long, and I love the design. Pineapple Earrings - another earring favourite, I think these pineapple earrings would be absolutely perfect for summer. I know it's only January but a girl can dream right? Grey Cross Body Bag - finally I've included this grey cross body bag which is so simple and timeless. I don't actually need a new bag, but I love the design of this one so couldn't miss mentioning it. I love the gold detailing - it matches the gold theme I seem to have going on in this post! Do you like any of the pieces I've picked out? 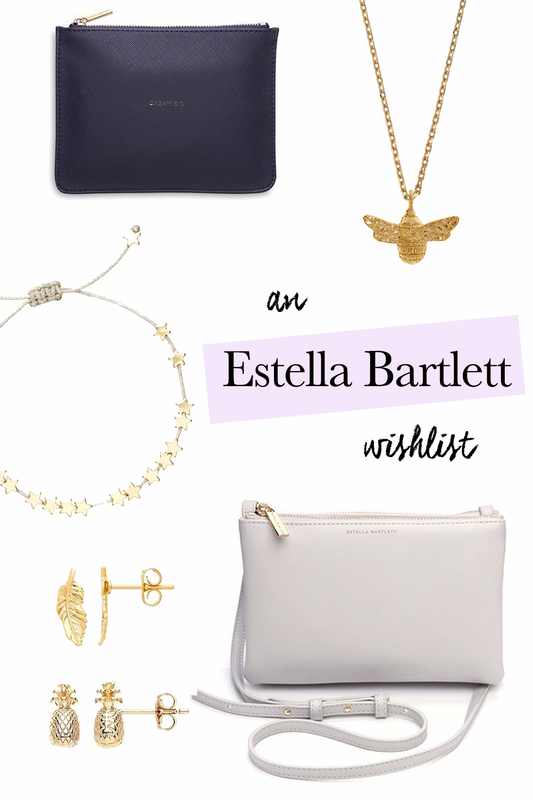 Have you bought anything from Estella Bartlett before?